Become more effective in the workplace! Is your company as efficient as it could be? If not, you’ve come to the right place. 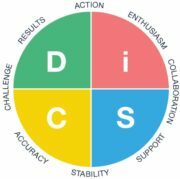 Everything DiSC® solutions provide rich, versatile learning programs that offer personal insight for learners at every level of an organization, using a consistent language of DiSC®. Bring Deb to your campus! Are you looking for effective, interactive, and FUN training for your student leadership? Or are you looking for inspiring and motivational training sessions for your faculty and staff? Then Deborah Cabral is the solution! Her programs can be specifically tailored to your students or staff! We’d be happy to speak to you and provide a customized quote. Please call our office at (315)794-9495. DC Efficiency Consulting works with businesses, government agencies, non-profits, educational institutions and other organizations that are looking to energize their staff with exceptional training, make internal systems more efficient and increase productivity. The first step is to bring us in. Call or email and we’ll be at your service. I enjoyed your very enthusiastic and inspiring presentation. Deb delivered an outstanding presentation, clearly demonstrating her organization expertise and her innate talent as a teacher and communicator. Her presentation was very informative, inspiring, upbeat and knowledgeable. 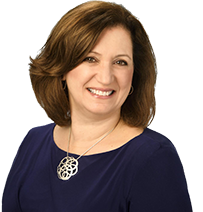 Deb has a personality and presentation style that lights up the room and captivates the audience. Thanks again for taking the time to offer your valuable expertize! Throughout your talk, you kept people's attention by providing interesting stories and tips. Deb Cabral did a great job presenting a Time Management seminar for my practice managers. She gave an outstanding presentation on ways that we can enrich our personal and professional lives simply by becoming more organized and eliminating clutter. The program evaluations for this presentation had nothing but praise! The session was very well received by employees! There were many favorable comments about your tips and many look forward to your next presentation here at Preswick Glen in the spring. She has what it takes to motivate you in a positive direction and have you enjoying the process all along. What are you waiting for.... get started today! Many said the presentation on Handling E-Mail Effectively was fantastic! The Managing Time & Priorities Workshop was life changing for me! 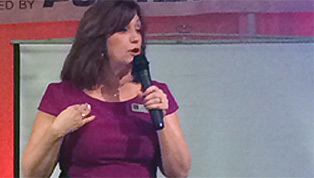 Deb's presentation was the catalyst we needed to get our employees focused on our impending move. who engages the audience immediately. Her let's roll up our sleeves and do this attitude is infectious. Races are all about time. Thank you Deb for giving some of ours back! Participants raved about the presentation. Thanks Deb for getting us on the right track! Her program is perfect for both the office and at home! From a mess the size of Mount Everest to a more manageable move, Deb was there every step of the way. I don't know what we would have done without her. She was a lifesaver! Her presentation was awesome and all of the evaluations came back with an excellent rating. I am looking forward to a more organized work environment and for staff to be more efficient and productive. She offered fantastic advice and applied practical solutions to incorporate into our everyday lives at home and work. Her presentation was dynamic and informative. She provided us with tips on how to be more efficient and to increase productivity, which are essential in any business. with the efficiency and professionalism. The overwhelming response to her presentation was Deb was informative, professional, inspiring and motivational. You have such a great spirit. You were absolutely fabulous!